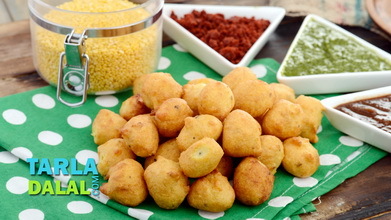 You will love the exciting crispness of these delectable Dal Vadas. 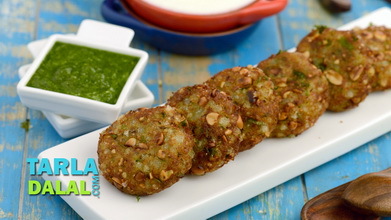 Made with a coarse paste of soaked chana dal perked up with onions, ginger paste and the whole traditional team of flavour enhancers, these vadas have a unique, rustic texture and warm, hearty flavour that will strike a chord with most people. 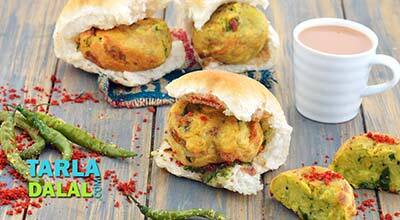 Take care to deep-fry these vadas on a medium flame. Otherwise, they will quickly turn brown outside before they get cooked inside. 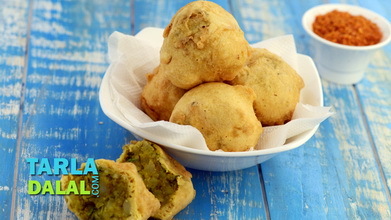 These deep fried vadas are sure to satiate you in a tasteful way, have them for Evening Tea Snacks accompained with Green Chutney or Tomato Coconut Chutney. Clean, wash and soak the chana dal in a deep bowl in enough water for 2 hours. Drain well. 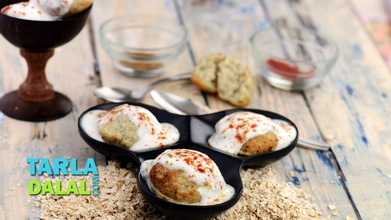 Remove ¼ cup of soaked and drained chana dal in a bowl and keep aside. 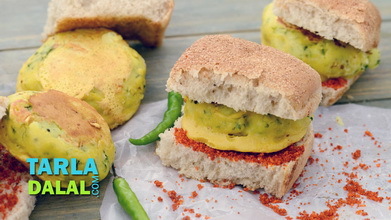 Blend the remaining chana dal in a mixer to a coarse mixture without using any water. 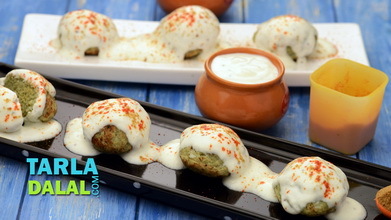 Transfer the mixture into a deep bowl, add all the remaining ingredients, including the soaked and drained chana dal and mix well. 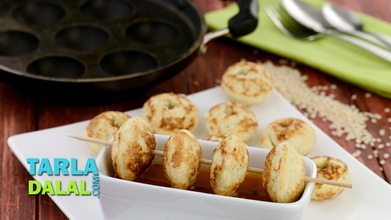 Divide the mixture into 17 equal portions and shape each portion into 50 mm. 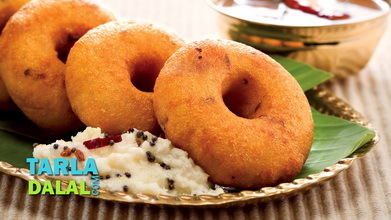 (2”) diameter round flat vada. 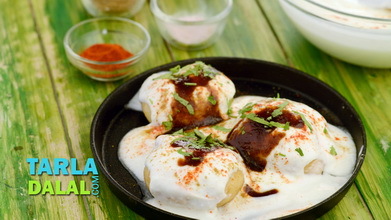 Heat the oil in a deep non-stick kadhai and deep-fry, a few vadas at a time on a medium flame, till they turn golden brown in colour from all the sides. Drain on an absorbent paper.